Swan Rescue South Wales, (originally Gwent Swan Rescue) was formed in the mid 1970’s with the aim of providing and promoting the rescue and welfare of swans in South Wales, and the wider UK context. Being the only Swan rescue group in South Wales we are the contact for calls from the police and other calls received direct from members of the public. Swan Rescue South Wales is run by just a few dedicated volunteers who have recognised the many difficulties swans (and other water birds) encounter almost every day. 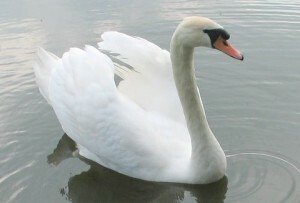 Every year Swan Rescue South Wales receives many hundreds of calls for help from most parts of Wales and the west, and performs scores of rescues of injured and distressed water birds. Our support network includes specialist veterinarians, rehabilitation centres, and a team of local volunteers who will undertake rescues as required. The Swan Rescue South Wales website contains information on and links with the RSPB, education, environmental agencies, public services, sea cadets, angling and other related societies and associations. We thank all those who help us in our mission to protect one of Britain’s most glorious and magnificent birds!! Directory of animal rescue web sites.